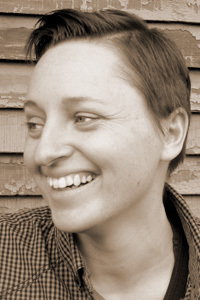 Jenny Johnson’s poems appear or are forthcoming in The Southern Review, The Beloit Poetry Journal, and The Collagist. Her work has also appeared in a number of anthologies. She received a scholarship to attend the 2010 Bread Loaf Writers’ Conference. Johnson earned her MFA from Warren Wilson College and she teaches at the University of Pittsburgh.